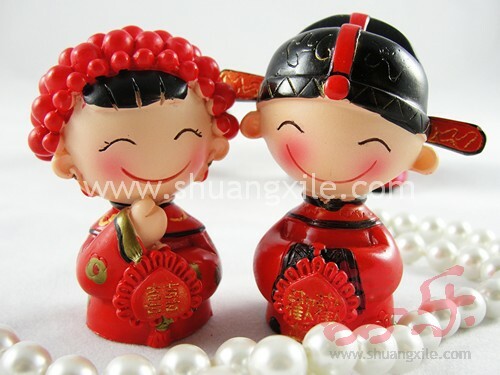 This is the very small mini figurine at total one pair size about 6.5cmx5cmx7cm. Item price is for ONE PAIR (one bride & one groom) of figurine as picture shown. Perfect for decorating wedding room, place it on the bed setting tray, dressing table or bedside tables. It will also be real meaningful to be sent as a gifts to wedding couple wishes them happy and prosperous wedding.